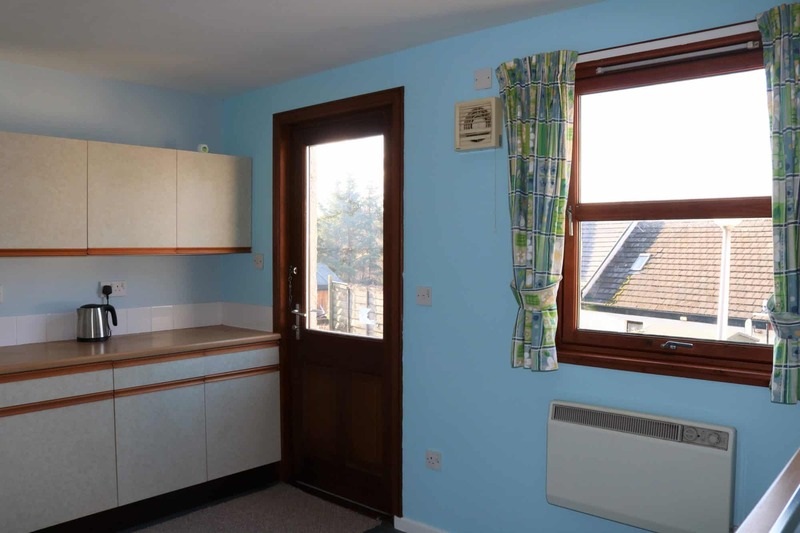 Located in a quiet residential area within the popular village of Kyle of Lochalsh, the subjects are ideally positioned to take advantage of all the local amenities, including the primary school which is a short walk away. 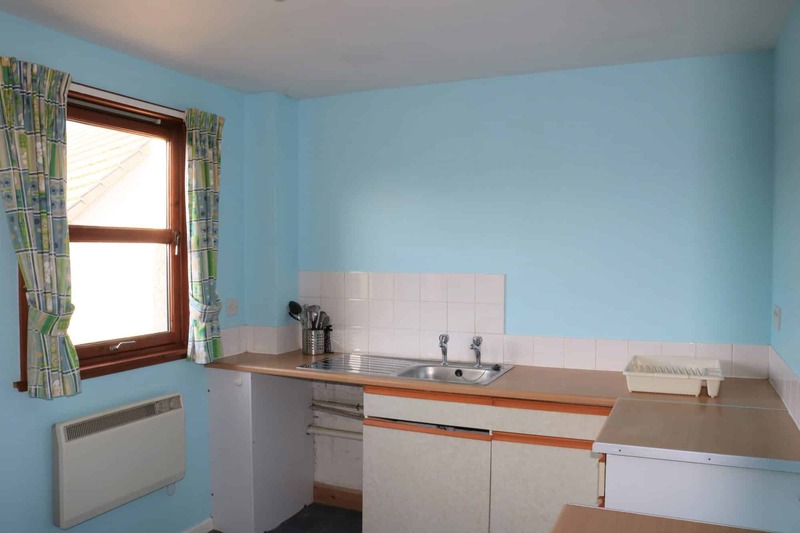 This property makes an ideal home at an affordable price and viewing is highly recommended. 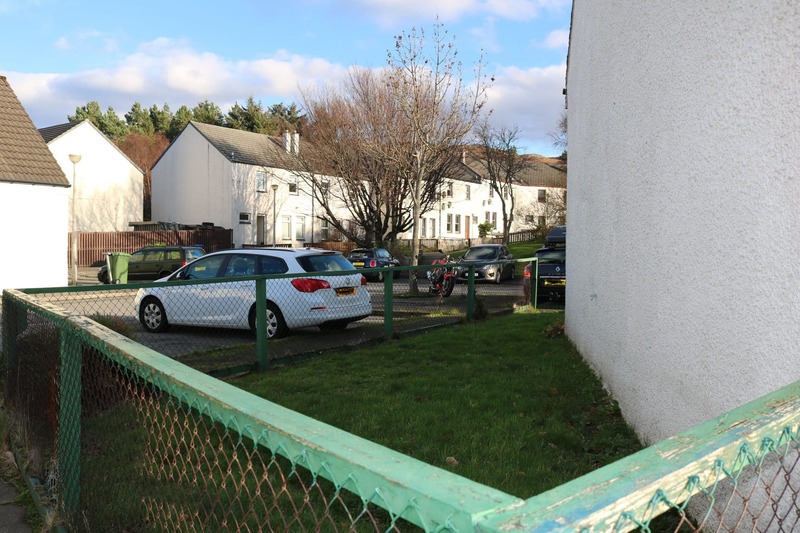 Conveniently located for all the amenities the village of Kyle has to offer the subjects for sale comprise of a well maintained end terrace 1 ½ storey 2 bedroom property, situated in a small quiet residential area. 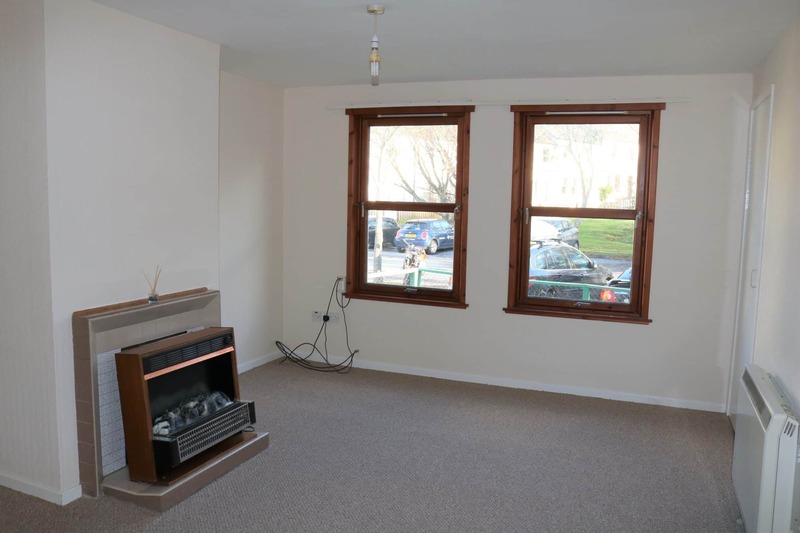 The accommodation within comprises :- entrance vestibule, hallway, lounge, kitchen, bedroom and shower room on the ground floor, with stairs leading to the upper floor and a further bedroom and box room. 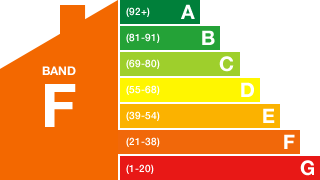 Benefits from timber double glazing, newly fitted carpets and ample storage throughout. Neat garden areas to the front, side and rear of the property. Offering excellent living accommodation in a popular village the property makes an ideal home, first time buyer or ‘buy to let’ property. Entrance vestibule with internal glass paneled door that leads to the hallway. Carpet. Size 3’ 3” x 3 ’3” (0.98m x 0.98m). 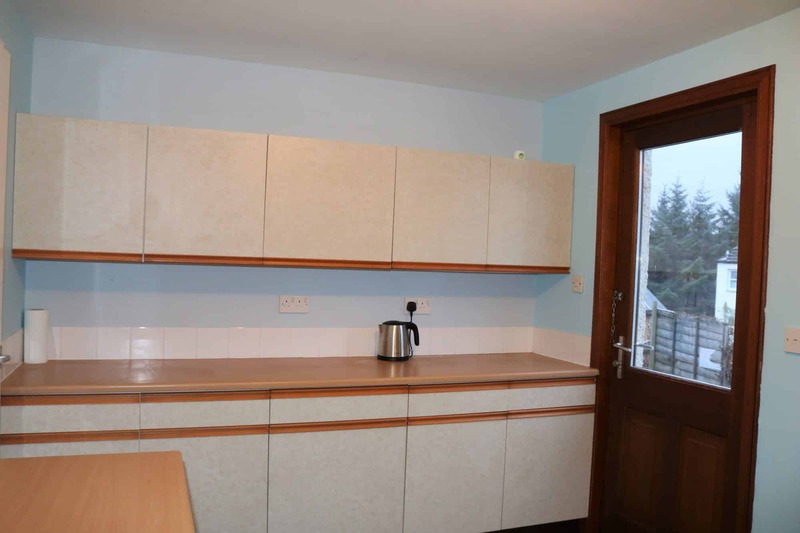 Large welcoming area with 2 storage cupboards, one housing electric meters. Access to the lounge, bedroom 1 and shower room. Carpeted stairs to the upper floor. Storage heater. Fitted carpet. 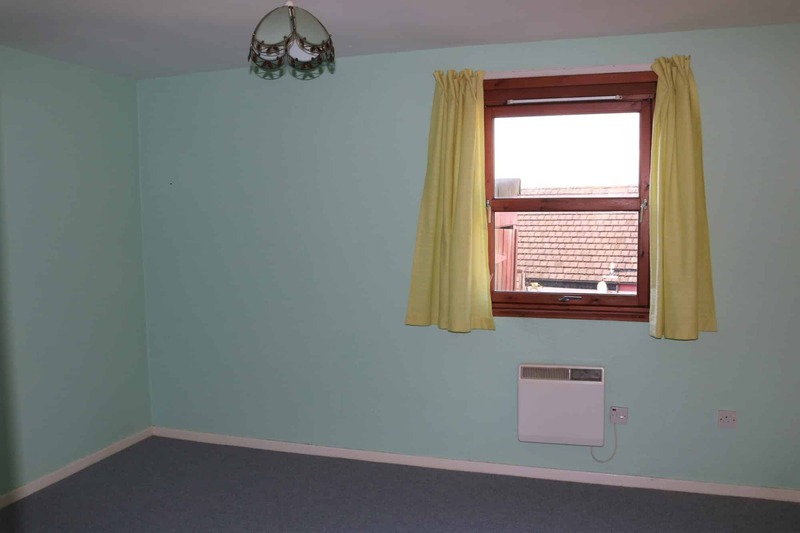 Spacious room with double windows to front. Feature fireplace with open fire. Storage cupboard. Storage. Fitted carpet. Size 14’ 09” x 11’ 10” (4.5m x 3.61m) at widest. Good selection of wall and base units with contrasting worktops. Space for appliances. 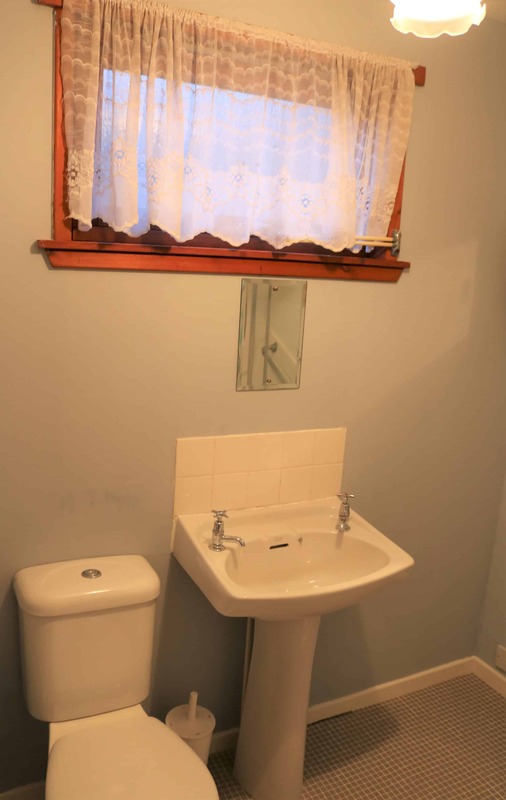 Single sink and drainer with mixer tap. Part tiled walls. Window to rear with blind. External part glazed door provides access out to the rear garden. Storage heater. Vinyl flooring. Size 8’ 06” x 12’ 08” (2.60m x 3.86m). 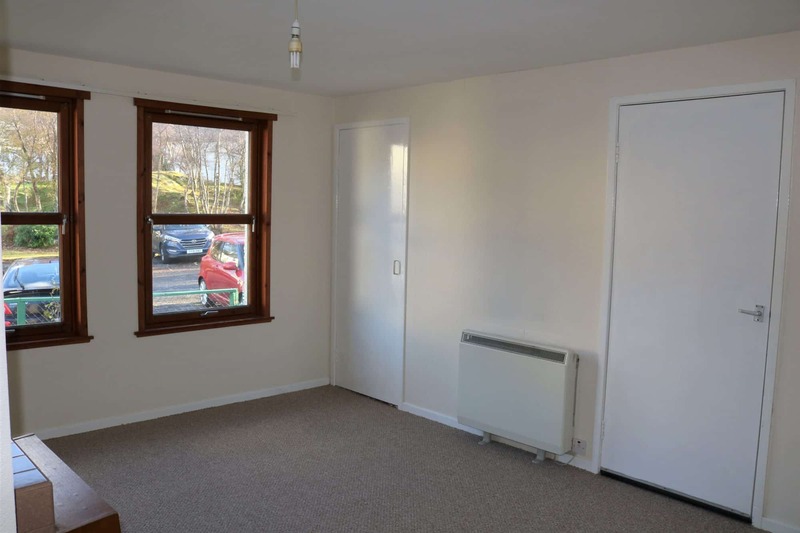 Double bedroom with window to rear. Storage cupboard. Storage heater. Carpet. Size 12’ 07” x 10’ 06” (3.83m x 3.2m) at widest. Modern white suite comprising W.C., wash hand basin fitted into vanity unit and walk in shower cubicle with electric shower. Ladder style heated towel rail. Tiled splash back. Chrome accessories. Small frosted window to front. Vinyl flooring. Size 6’ 02” x 6’ 11” (1.88m x 2.11m). Carpeted stairs lead up to landing area. Large storage cupboard. Hatch to loft. Fitted carpet. 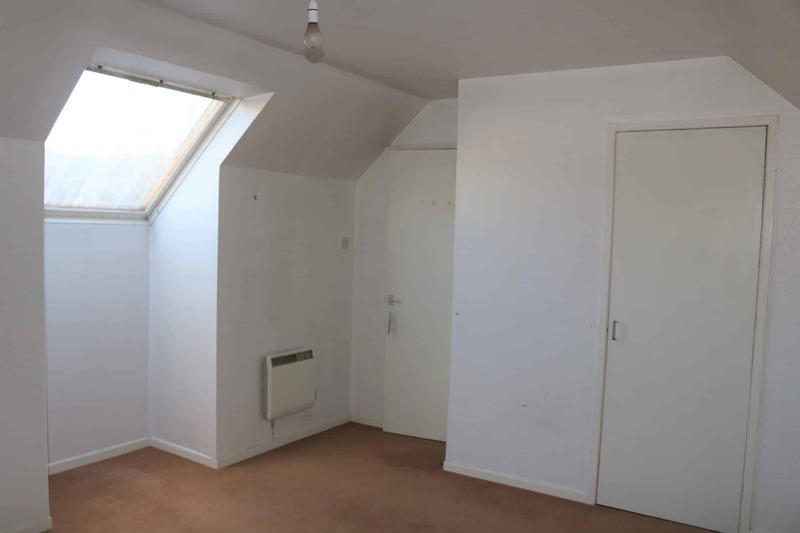 Spacious double size bedroom with Velux window to front. Storage cupboard providing shelving and hanging space. Storage heater. Fitted carpet. 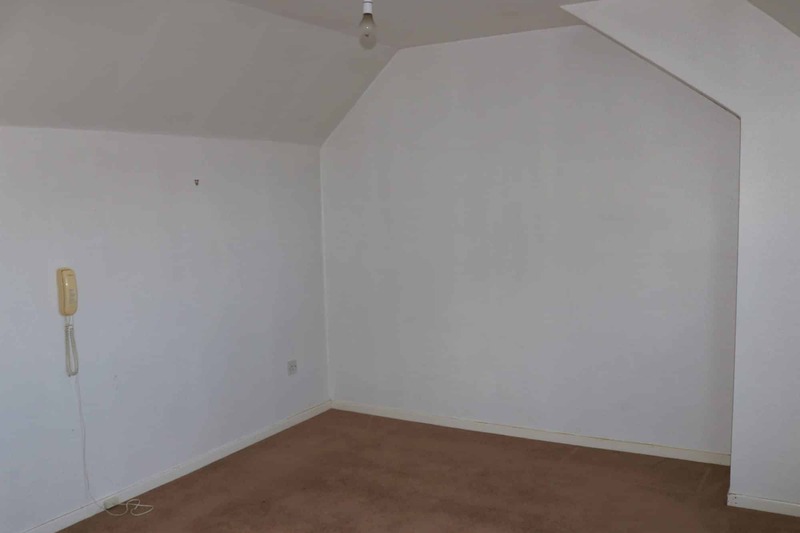 Good sized room currently housing hot water tank. Could make use for several purposes. The area is fully enclosed and laid mainly to lawn combined with paved areas to produce a neat garden that is easy to maintain. 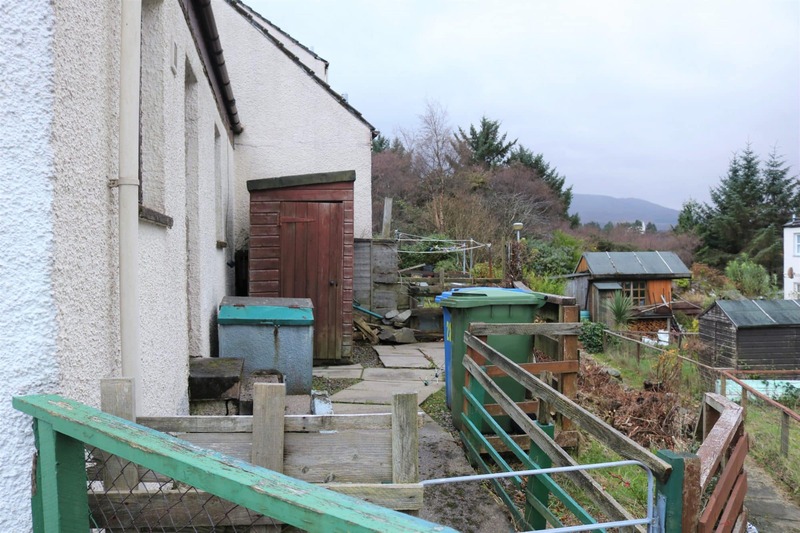 There is a handy shed providing storage space. Continue through Kyle and out towards Plockton, take a turn into the left onto School Road, continue until you reach Wemyss Place, follow round until you reach number 28, on your right after the first junction to your right. 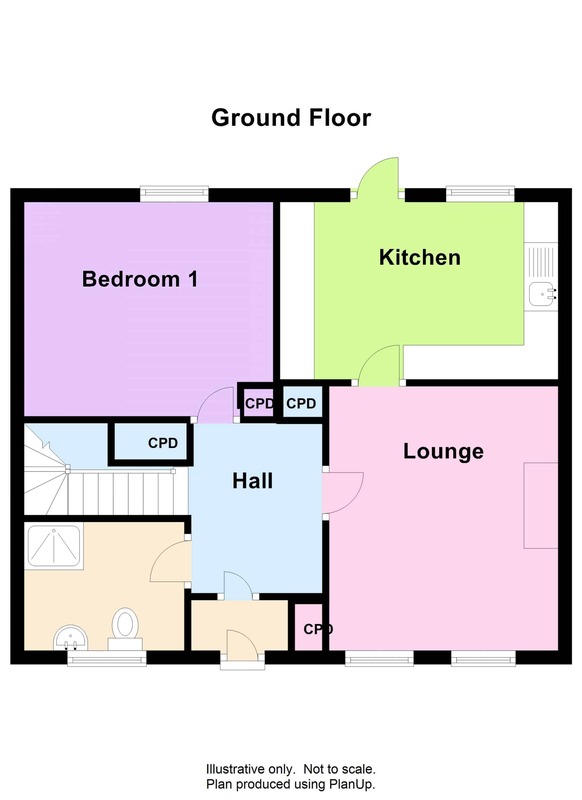 Ground Floor : Hallway, Lounge, Kitchen, Shower Room and Bedroom. 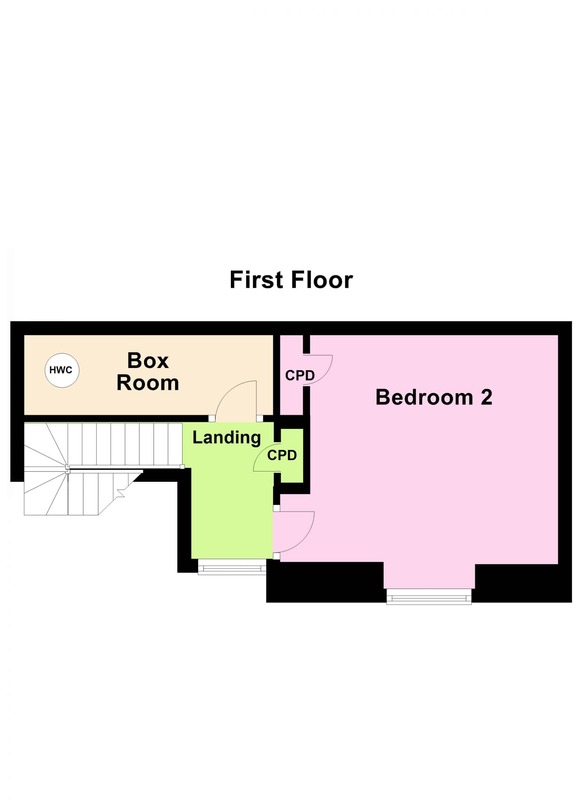 First Floor : Landing, Bedroom and Box Room. 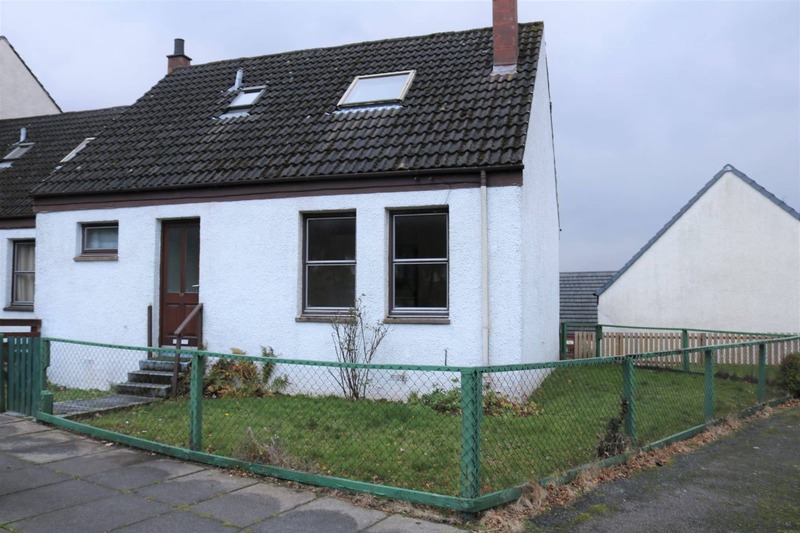 Offers in the region of £95000 are invited and such offers should be submitted in proper Scottish legal terms to The Isle of Skye Estate Agency.